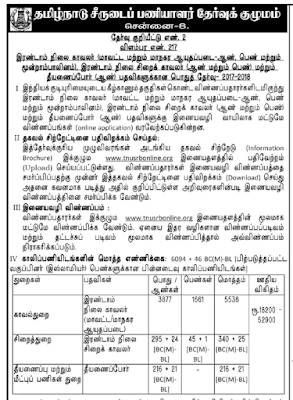 TNPOLICE RECRUITMENT NOTIFICATION 2018 | The Tamil Nadu Uniform Employee Selection Board has issued a notice to the vacancies for 5538 guards. The last date to visit is 27.01.2018. Written examination of the selected month April. The Assistant Center has been set up at Coimbatore Police Commissioner's office to apply for the police work. A total of 6,140 vacancies are in the Department of Police, the Department of Police and Fire Service. This includes 5,538 secondary guard, 365 second prisoners and 237 fire fighters. 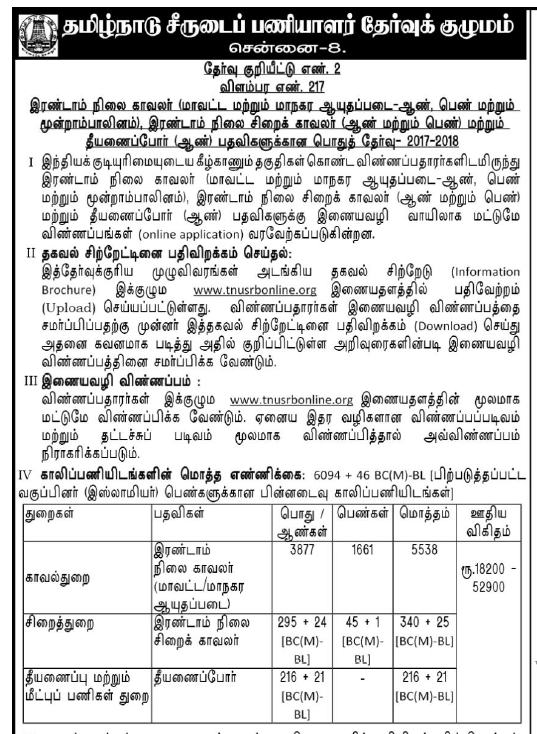 Tamil Nadu Uniform Employee Selection Committee Examination to fill out these Colleges. The announcement was issued yesterday. Character selection takes place in March and April. Apply online and by mail department. On the last day of January 30, 2013 to apply for online application, Jan. 30, to apply for the post office. On the ground floor, the help center is set up at the Municipal Police Commissioner's office. Three employees have been appointed for this.